Many have tried cover versions of the Pink Floyd masterpiece Dark Side of the Moon. There’s the stoner-ific Dub Side of the Moon by Easy Star All Stars and the heinous, blasphemous version by The Flaming Lips. Thankfully, The Sword guitarist Kyle Shutt’s new tribute to the legendary LP is a killer take on the classic. 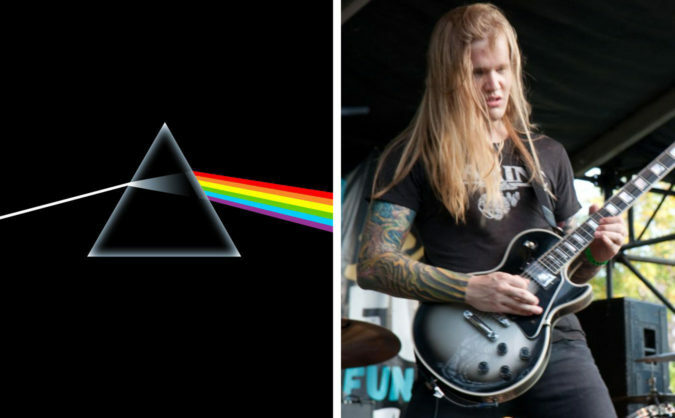 Shutt has produced a heavy metal cover titled Doom Side of the Moon, which is intended to celebrate Pink Floyd’s 50th anniversary. The LP will be released on August 4, which is the 50th anniversary of the release of the British band’s debut album, The Piper at the Gates of Dawn. In a press release, Shutt explained, “The idea came to me after getting baked and wanting to hear a heavy version of ‘Time.’ I thought, why not just cover the whole album?” Listen to the Doom Side of the Moon version of ‘Money’ below. The video features visuals by Ignite Design, which are intended to replicate the multimedia laser light show that will project during the band’s live performance. Doom Side of the Moon features Shutt and two of his bandmates from Texas metal titans The Sword: bassist Bryan Richie and drummer Santiago Vela III. The album also includes vocalist Alex Marrero (Brownout/Brown Sabbath), saxophonist Jason Frey (Black Joe Lewis/Hard Proof), and keyboardist Joe Cornetti (Croy & The Boys). Shutt and his band will perform Doom Side of the Moon in its entirety on August 5 at Emo’s in Austin, Texas.